If you want the best pieces from your favourite brands’ spring collections, the time to start shopping is now—as in, right now. Want the inside scoop on which pieces will be the first to go? We surveyed some of our favourite online retailers—including Shopbop and ASOS—to see which spring pieces are flying off the shelves. Armed with that knowledge, plus our own expertise, we’ve put together a list of 27 extra-special pieces that you really don’t want to miss. Click through to see which spring items will sell out first! 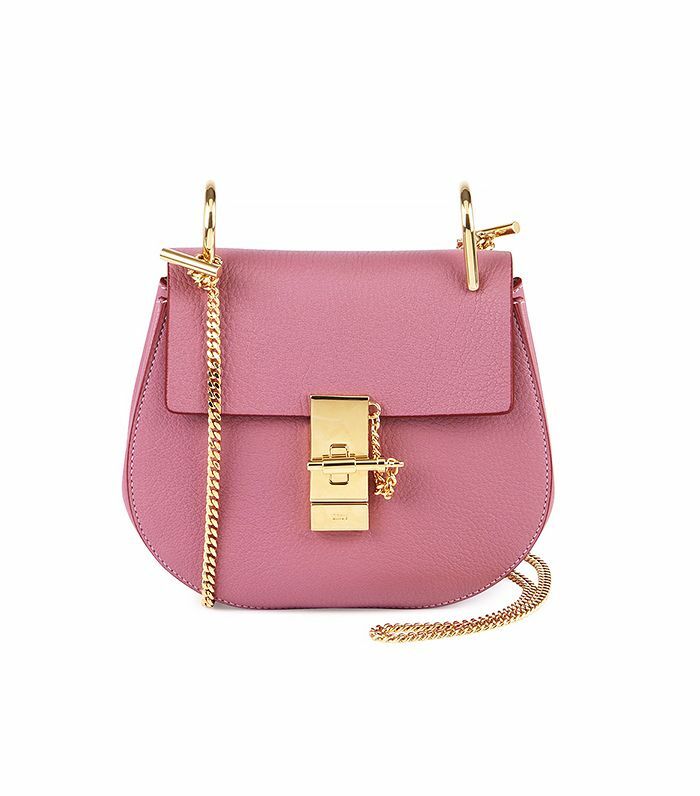 The It-bag du jour is being released in a new crop of colours this spring. We’re especially drawn to this rosy-hued option. It’s all about the denim for spring. Sure, Beyonce’s got multiple styles from the brand, but we suggest starting with this ultra-fresh version. The perfect spring-time basics at a great price point. Bucket bags are still going strong, especially mini versions like this fringed number. Gladiators ruled the runways for S/S 15. Zara’s neutral pair is perfection. All the cool girls have been wearing Shrimps’s faux fur coats this winter, and now they can carry the look straight into spring with this feminine version. Pair these airy culottes with a cropped black top when the weather warms up. This flirty dress is sure to be your go-to this spring. We predict that these flats will be a blogger fave very soon. We're all about the denim dress lately, especially if it has a frayed hem. Bandanas are a micro trend that we’re loving for spring. Part sandal, part d’Orsay flat, these shoes will make your off-duty looks infinitely cooler. Everyone’s favourite logo gets a metallic update. Channel a sporty-chic look this spring, courtesy of Alexander Wang. A.P.C.’s polished version of the white sneaker is definitely on our wish lists, thanks to the buttery leather and minimalist design. This greyish-blue moto jacket is the perfect transitional piece. If you add one dress to your wardrobe this spring, make it a gingham one. A flash of gold at the heel gives these neutral sandals a touch of chicness. At last—everything we’ve ever wanted in a pair of jeans, and at a price that’s not insane. Three of our favourite things in one shoe: sneakers, an on-trend platform, and soft pink. Net-a-Porter can’t keep these watches in stock. This one is perfect for everyday wear. Here’s how to do fringe without going overboard. These are the perfect complement to spring's military trend. Start rocking the ‘70s trend today with these oversized shades. Suede is already a big seller for spring, and there are so many ways to wear this mini. You need a pair of pool slides for spring, and Acne Studios is winning the game with these. Study up on a few of spring’s biggest trends! Which of these pieces are you most inclined to buy? Tell us in the comments!